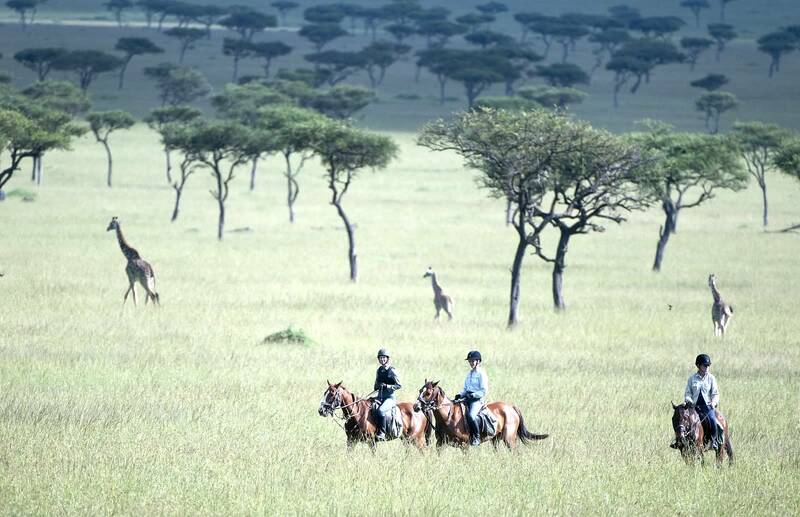 8 nights horse riding safari in the Masai Mara and 2 nights staying at the luxury Deloraine House makes for the ultimate Kenyan riding holiday. 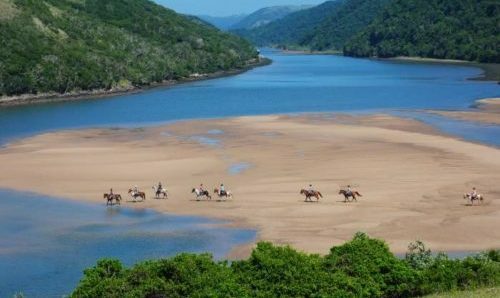 Deloraine House has over 60 horses and offers the exciting chance to play polo, jump the cross country course and ride around the stunning Londiani Mountain – a fabulous end to what will have, without doubt, have been an unforgettable week. 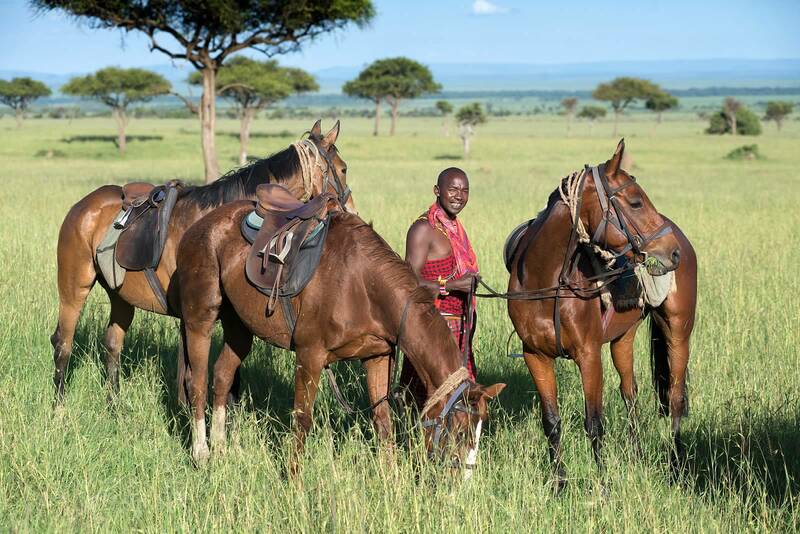 It is hard to sum up in words the magic of a horse riding safari in the Masai Mara or to capture its energy and wonder in type. Kenya’s Masai Mara is home to some spectacular bird and wildlife, with arguably unparalleled game viewing, and offers the backdrop of one of Africa’s most iconic landscapes – the endless and beautiful savannah. With sunsets like no other and vast plains to race across you will not be disappointed mounting up here and taking on the Mara Ride. 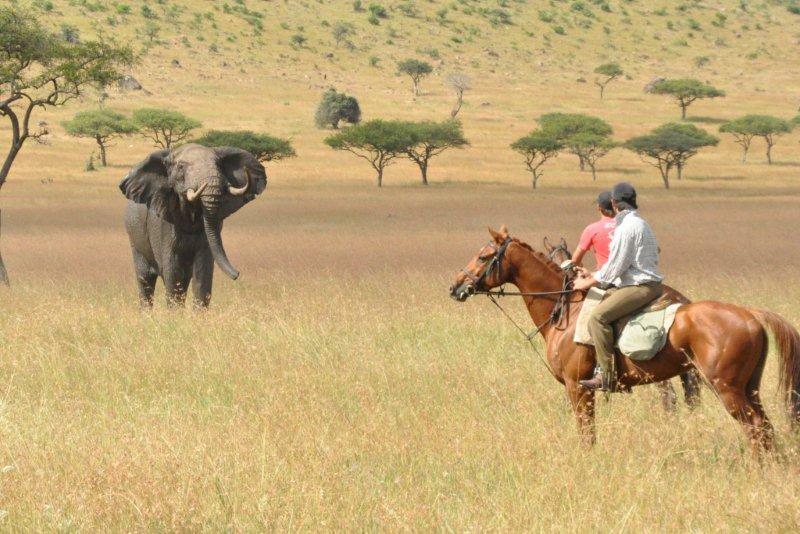 This adventure will take you past elephant, buffalo and maybe even lion and give you the once in a life time experience of galloping alongside herds of wildebeest and zebra as you navigate the Mara with a mobile tented camp in convoy. 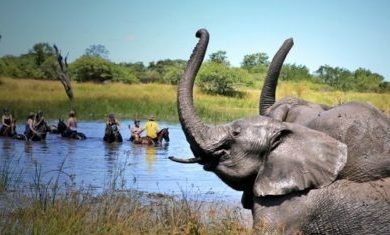 Led by a private and expert guide you will spend 7 days exploring this beautiful part of the world, moving camp three times with a team who will travel ahead and set up the next camp and have a cold beverage waiting on arrival. 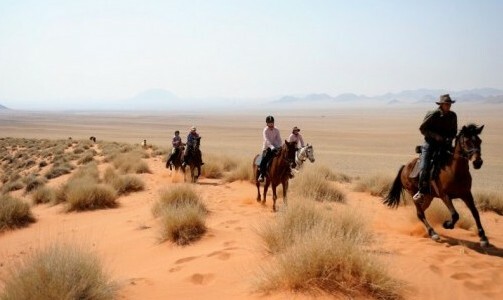 This ride takes you through areas where big game may be present and is therefore not suitable for inexperienced riders. 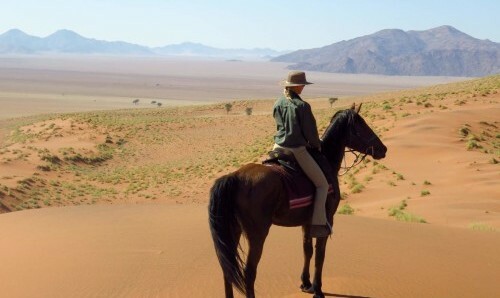 If you are an competent rider however, there is simply no better way to experience this breathtaking landscape, and all its animal encounters, than from the back of a well-schooled and fit horse. 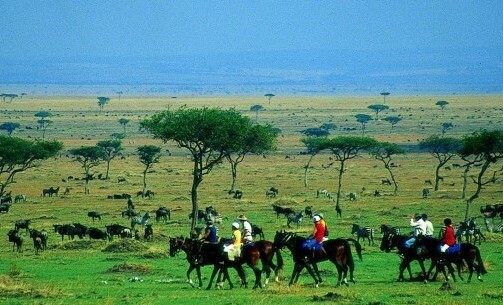 The Masai Mara is situated in south-west Kenya and is one of Africa’s greatest treasures. Together with the Serengeti National Park it provides an important sanctuary for some of Africa’s most spectacular wildlife. The Mara has one of the most diverse eco-systems in Africa with over 95 species of mammals and over 570 recorded species of birds. The Masai Mara National Reserve covers 1510sqkm and raises 1500 – 2170metres about sea level. The Mara has a magic that is very difficult to rival. 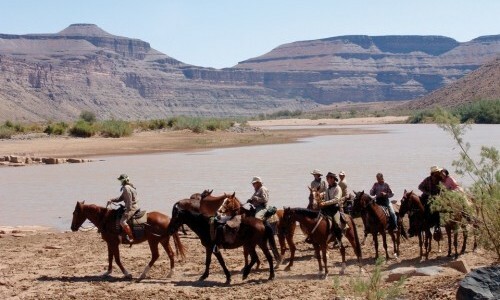 This true African bush, with its wide open plains and teeming wildlife, will form the idyllic setting for an unforgettable ride of a lifetime. Deloraine House was built in the 1920’s by Lord Francis Scott, a prominent early settler. Deloraine is an impressive example of colonial architecture and is a unique and surprising property with a heap of Kenyan history within its walls. 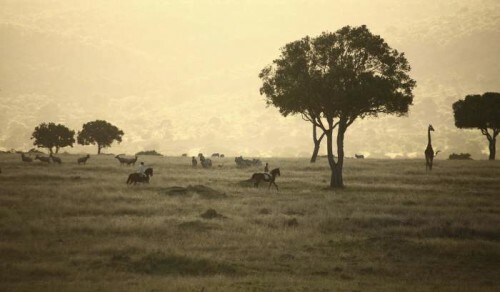 The farm is set on the lower slopes of Londiani Mountain, an extinct volcano covered in forest and bamboo, on the western edge of the Great Rift Valley. Day 1: You will be met either at your hotel in Nairobi or from the airport directly and transferred to Wilson Airport for a 10:30 charter or 10am schedule flight to Naibosho. The flight is a special experience in itself with stunning views of the Kikuyu Highlands and on towards the Great Rift Valley. Once over the Rift Valley, the Loita Hills will start to come into view as you head for the Naibosho Airstrip where you will be welcomed by your guide. 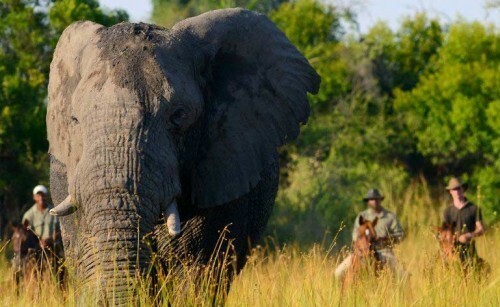 Hop onto a vehicle for your first game drive - an hour transfer to the camp. Pulling into a clearing in amongst the acacia trees on the Southern edge of the Loita Plains at Olare Lamun, you will find a camp nestled into the bush and on the edge of a small steam. You will be welcomed with a cold drink and experience your first taste of delicious ‘bush cuisine’ as lunch is served. After lunch, get settled in before meeting the horses and climbing aboard for your first evening ride as the sun starts to sink lower in the sky. Day 2: After waking up to your first dawn chorus and beautifully crisp African morning you will be served breakfast and mount up for your first full day in the saddle. The ride will take you across the vast landscape full of exciting game to investigate. 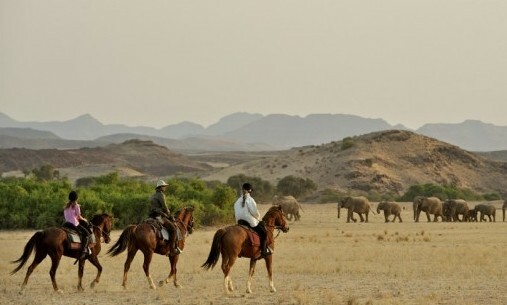 There is the opportunity to take a drive, ride or even walk from the camp in the afternoon. Following sundowners and yet another candlelit supper you will overnight once more at Olare Lamun. Before bed you might want to sit out round the campfire and take in stars filling the night sky, the like you won’t see anywhere else in the world. Day 3: Today marks our first moving day. With any first day nerves well in the past, set out after an early breakfast as today you will have the longest journey of the trip – nearly 50km! 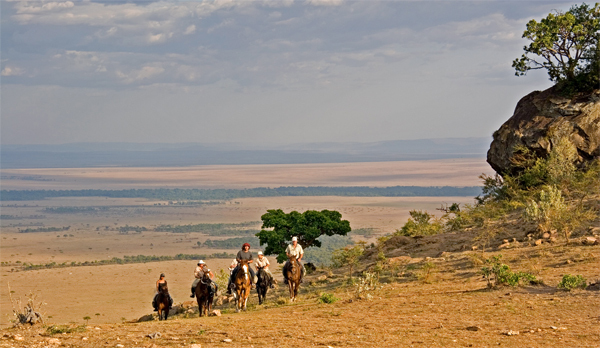 The ride offers spectacular scenery of sweeping savannah plains, a chance for some faster riding, and game often becoming more plentiful as you approach the Mara ecosystem. Herds of zebra, topi, giraffe, wilderbeest and gazelle are commonly seen and there is a good chance of elephant and buffalo sighting as well, so keep your eyes peeled. Tonight’s camp is on the edge of the Masai Game Reserve on the Olare Orok and you will arrive there late afternoon. The game viewing is excellent and as you are lying tucked up at night you are likely to hear the prides of lion and hyena calling. 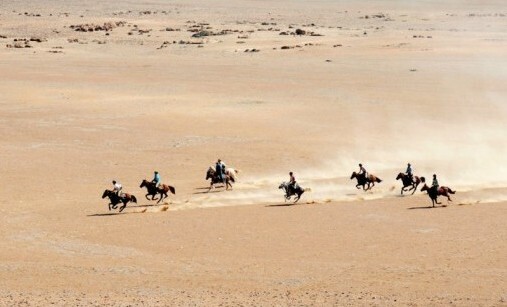 Day 4 & 5: After breakfast, ride out from camp to explore the surrounding area, before returning to camp for lunch. 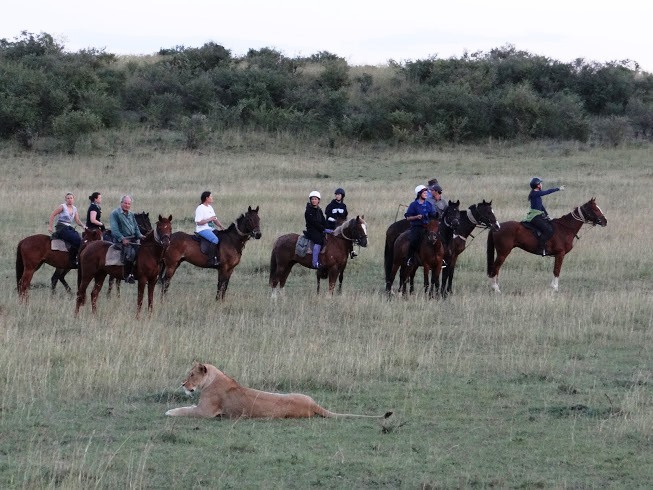 In the afternoon you will have the option to either mount up once more or enter the game park by vehicle and get up close and personal with the lion and elephant and take advantage of the excellent photographic opportunity. Return to camp for dinner and to sit around the camp fire, listening to the sounds of the bush before tucking into bed. Overnighting at Olare Orok. Day 6: Another moving day. 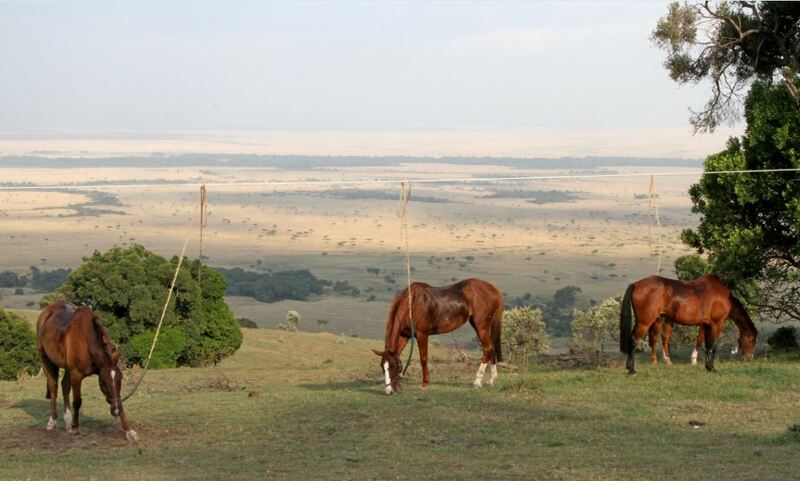 Ride out west across the Mara plains in order to reach the Mara River on the park boundary. Providing the river is not in complete flood then you will make a crossing at one of the famous wildebeest crossings and then head south west covering the Mara Triangle. This is where you will have your picnic lunch before ascending the Soit Olololol Escarpment to reach tonight’s camp set in an idyllic forest glade with views stretching across the vast swathes of the Mara. Day 7: Set out this morning along the top of the escarpment taking in the spectacular views and the excellent terrain which invites some faster riding. The Mara birdlife is excellent and you will hopefully catch sight of the beautiful Schalows Turaco alongside all the plains game. You will tackle descending the escarpment on foot and lunch will be taken at the bottom under some acacia trees. After lunch the ride will return through the Mara Triangle with the escarpment towering impressively over you before ascending once more on a game trail – many bachelor buffalo herds are a highlight of this afternoon's ride. Return once more to overnight at Soit Olololol. Day 8: After yet another bush breakfast, descend the escarpment once more and ride back across the river at a wildebeest crossing. The ride will then take you north-west and after lunch you will find your final campsite set up on the banks of the Mara River. The camp is situated near some pools, ideal for hippo wallowing and many of these mighty beasts will be heard grunting in the night! Day 9: After breakfast, leave camp and drive to Deloraine, having a picnic lunch on the way, you will pass the impressive tea growing lands of Kericho. Reach Deloraine in time for tea and an evening stroll around the beautiful gardens before a delicious dinner. Day 10: There will be the option of an early morning ride before breakfast and the opportunity to try your hand at polo, nip round the cross country course or go out on a mountain ride. Day trips and a picnic lunch can also be arranged to either Lake Nakuru or Bogoria, famous for their flamingos or you may simply wish to relax by the swimming pool! Spend your last night together reminiscing over dinner about your adventures, before retiring for your last sleep at Deloraine. Day 11: Transfer by road back to Nairobi, leaving after lunch. Over the week’s adventure you will camp in four different locations. A team will move the mobile camp ahead of your arrival at each destination and the camp will be set up by the time you pull in in the afternoon. All your luggage and belongings will also be transferred by vehicle.